Over the past couple years, I’ve found myself obsessed with watches. The world of timepieces has exploded in popularity, particularly those with automatic movements. 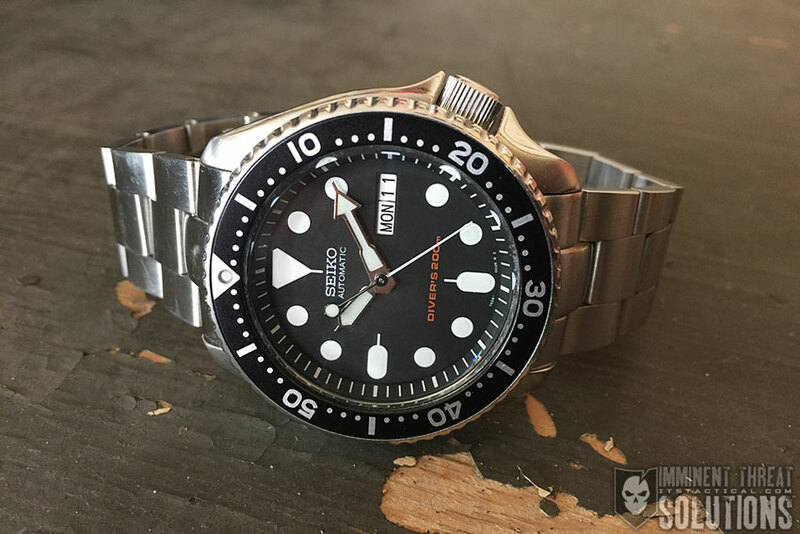 Today I’ll be discussing how my journey through the world of timepieces landed a Seiko SKX007 on my wrist and why it’s not going anywhere anytime soon. Growing up, I always had “a watch.” Having a collection of watches never crossed my mind, as my watch could do everything I needed. While I owned multiple watches throughout the years, I was always replacing one that had broken or been lost. 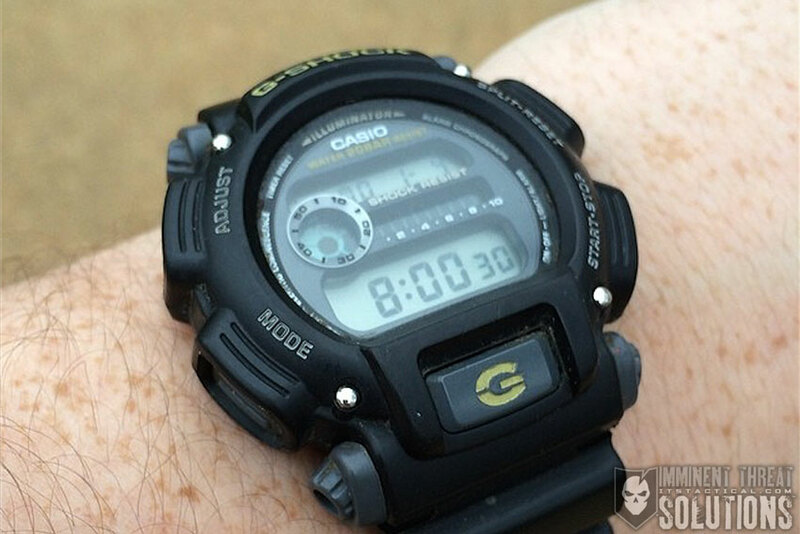 At a certain point, I picked up a G-Shock and I was hooked. Camping trip? G-Shock. Friend’s Wedding? G-Shock. No matter what I did or where I went, my G-Shock was with me. After all, I could set an alarm, time a race and keep up with different timezones. 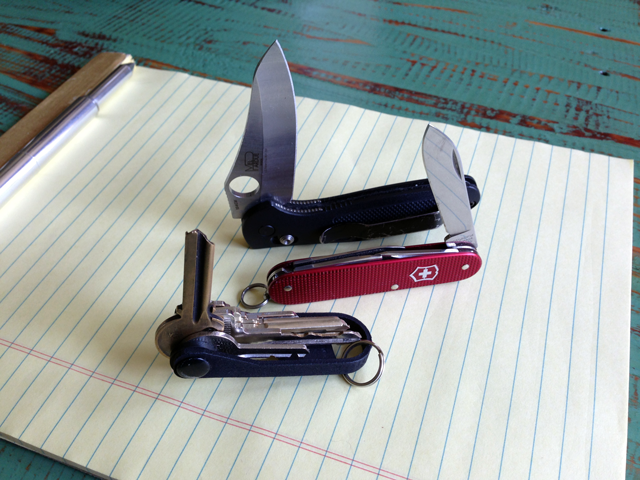 It was like having a Swiss Army Knife on my wrist. Things changed though when I received my first automatic watch as a Christmas gift one year. The thought of a watch that didn’t require a battery and charged from the movement of your wrist really intrigued me. 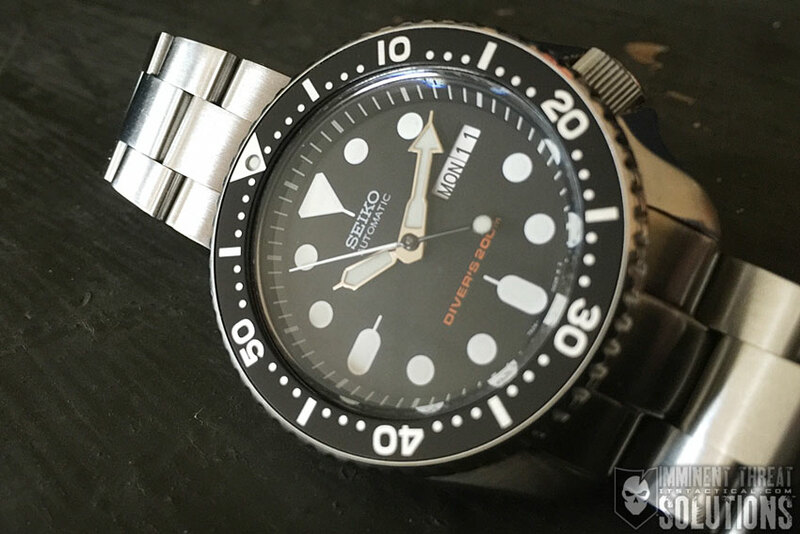 I scoured watch forums and other sites to see just how they worked and learning about automatic movements gave me an appreciation for the engineering and mechanical prowess it took to create them. My appreciation quickly developed into a full blown hobby and before I knew it, my watch collection had grown from two to ten in a matter of months. 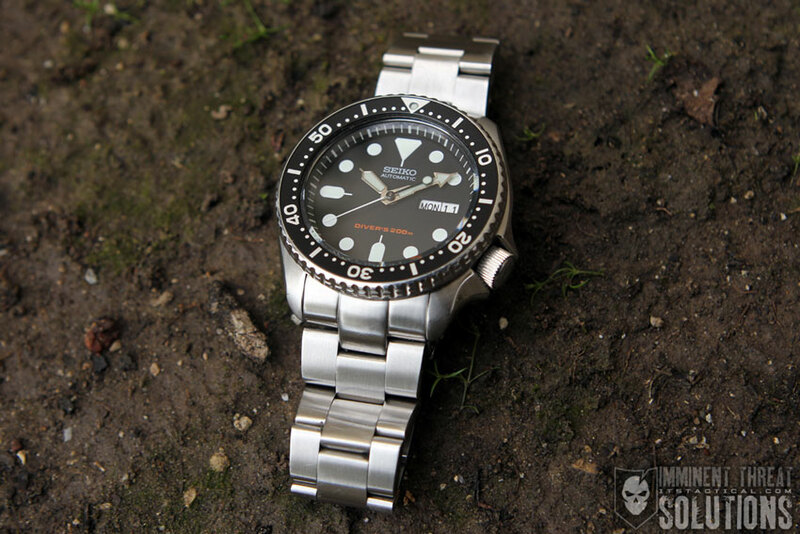 It was during this buying spree that I picked up the Seiko SKX007, a watch known for its simplicity and timeless design. It wasn’t a cheap by any means, but at around $200 it didn’t break the bank. A recent trend in the watch industry has seen case sizes on Men’s watches growing larger and larger. While men’s watches of the 50’s and 60’s ranged from around 36-38 millimeters wide, watches today are being introduced at 45 and even 47 millimeters wide. I’ve never been a fan of the large watch face trend and consider the maximum for my wrist to be about 42-43mm. Something that really helps the fit of the watch is the crown being located at the four o’clock position rather than the three. This prevents the watch from digging into the back of your hand if, like me, you tend to wear your watch farther up on your wrist. The screw down crown provides a tight seal, preventing water and dust from entering the movement. 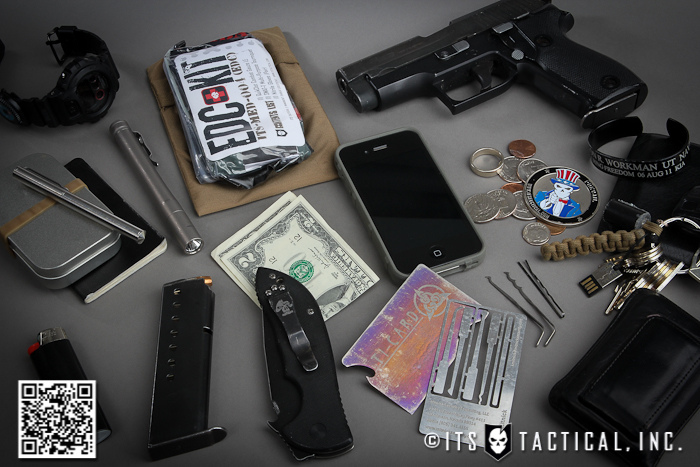 The coin edge of the crown provides a great purchase area and unscrews with ease. 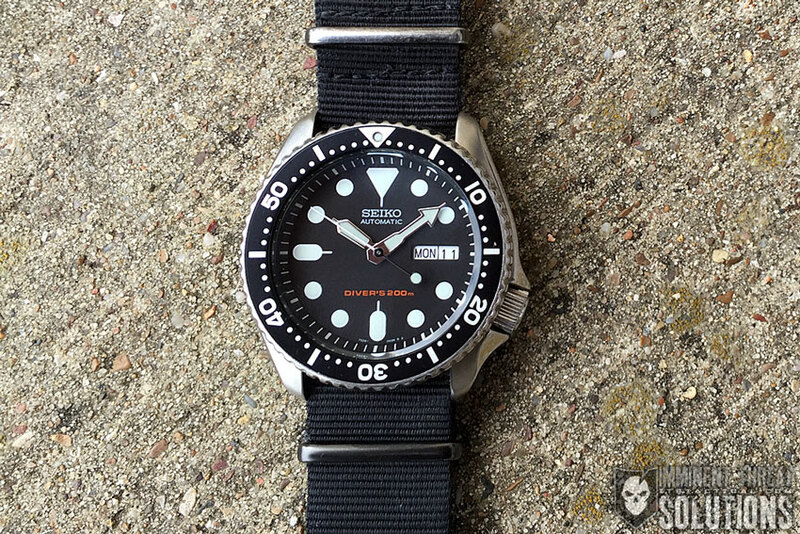 The strap width on the 007 is fairly common at 22mm and allows a multitude of different straps and bracelets. Something great about this watch is that it sits as comfortably on a steel bracelet as it does on a rugged NATO strap. The term NATO strap comes from the shortening of the term NATO Stock Number (NSN) and the straps are also referred to as a G10 strap. NATO straps have been a favorite of military members and civilians alike, adding a heavy duty, utilitarian feel to a watch. 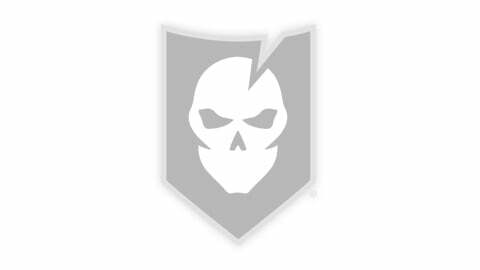 In a future article, we’ll expound more on different NATO straps and their history. 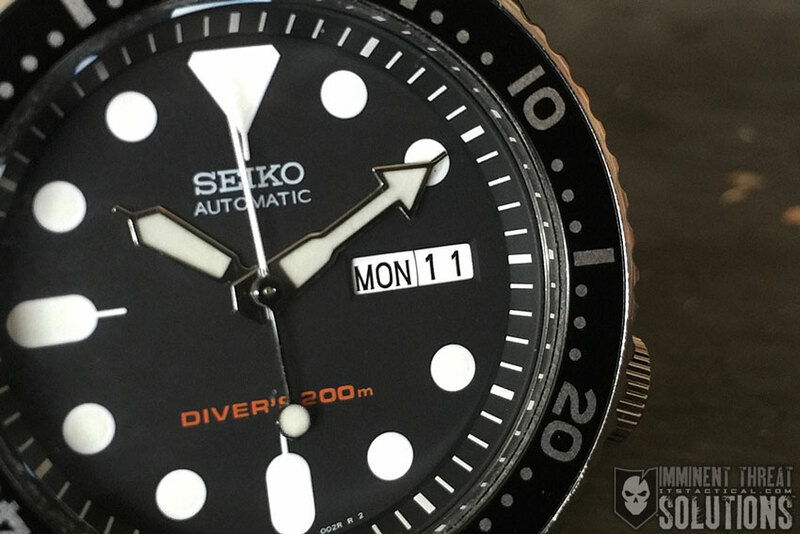 One of my favorite features of the 007 is the 120 click dive bezel, each click of which is pronounced and firm. True to its dive watch functionality, the bezel is unidirectional with a lume pip at the twelve o’clock position so even in the deep, dark ocean, time can still be monitored. 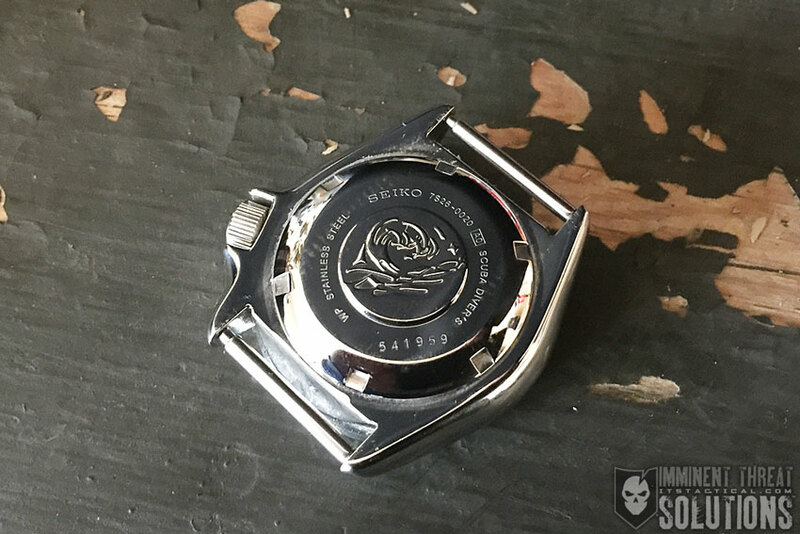 The bezel’s coin edge also provides a great grip even when wet or with gloves on. The simplicity of the 007’s dial is really what makes it stand out. I’m really not a fan of text on the dials of my watches, as I find it very busy and cluttered. With only three lines of text, this dial is clean and clear. It’s well balanced and the contrast of the white lume pips on the black dial make it extremely easy to read. 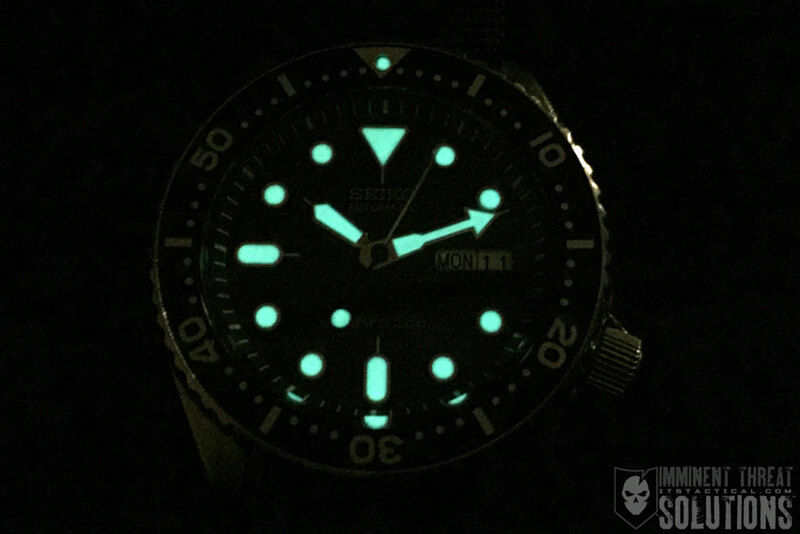 The lume is Seiko’s Lumibrite and is an alternative to the older Tritium illumination paint, which was radioactive. The lume on this watch is evenly applied, very bright and lasts for 7-8 hours, allowing you to read it through all the way through a night time activity. The raised section between the edge of the dial and the case, also known as the chapter ring, continues the minute markings of the bezel and really draws your eye in to the face. Additionally, it makes timing an activity much easier and allows for more precise calculations of time. Rather than a three o’clock lume pip, the 007 features a day/date window that I find extremely useful. While many people don’t like both the day and date feature, I find myself constantly checking it throughout the day. 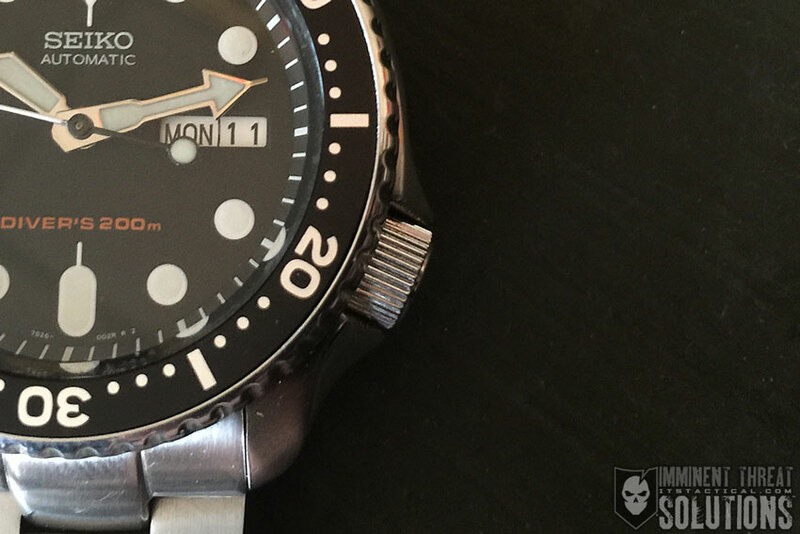 There’s a lot of right with this watch, but one of my larger critiques lies with its hand set. Each of the three hands for hour, minute and second is completely different, which is great for checking time in the dark. However, the lume pip on the second hand is located on the rear of the second hand. 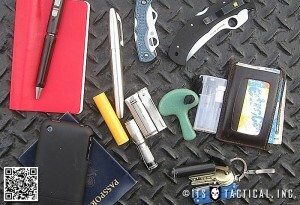 This makes timing something in the dark a bit difficult, as the only light on the second hand is on the rear. This isn’t really a large issue but it’s something that I wanted to bring up. Unfortunately, the movement is non-hacking so the second hand doesn’t stop when the crown is pulled out. This a minor pet peeve of mine, as I like to be fairly precise when setting my watches. If I could change only one thing about this watch, it would be adding the ability to stop the second hand. 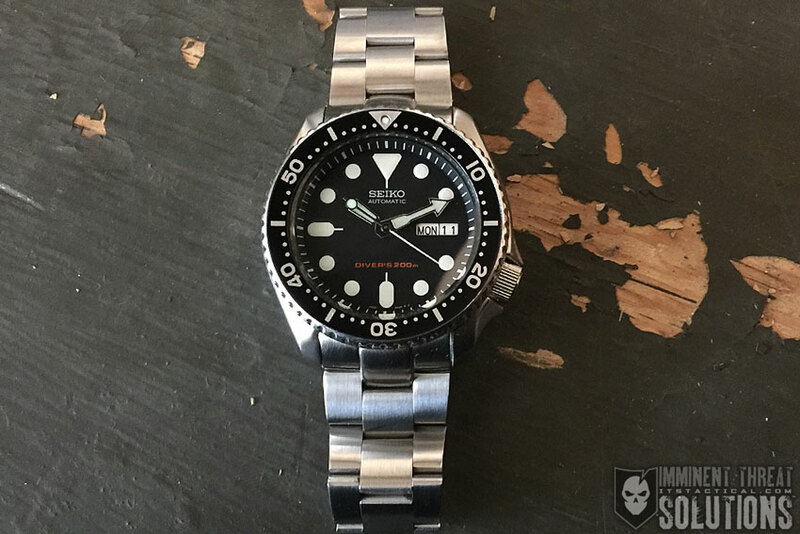 From the factory, the bracelet options for the SKX007 are a little lacking. It can be purchased either with a rubber dive strap or a jubilee bracelet. I’m not a fan of the rubber strap and chose the jubilee bracelet, which I found to be rather unappealing. Jangly and light, it didn’t really scream “dive watch” to me, so I sought out a replacement and landed on the Strapcode Oyster Bracelet. It’s a solid link bracelet that I would highly recommend pairing with this watch. The added weight of the solid links not only offers better durability, but really helps balance the watch out. 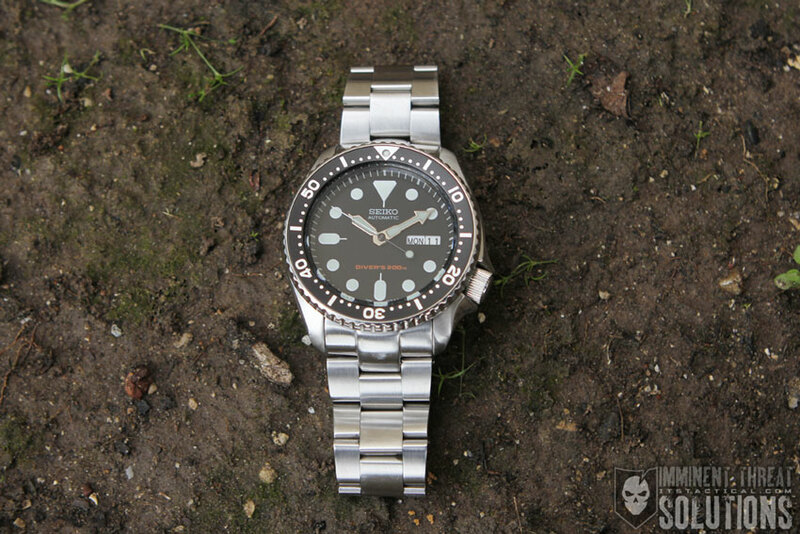 Overall, I would consider the Seiko SKX007 to be one of the best options for someone looking for a durable, automatic dive watch. It’s a budget watch that wears like a much more expensive timepiece and offers some great features others in its price range don’t.